Giving Tuesday – Raise the Woof! This Giving Tuesday, we’re shooting for the stars – we’d like to finish up our year, and our Raise the Woof campaign, with a bang by raising $50,000 for our shelter and the pups we love. We know it’s a BIG goal, but with your help, we know we can do it. 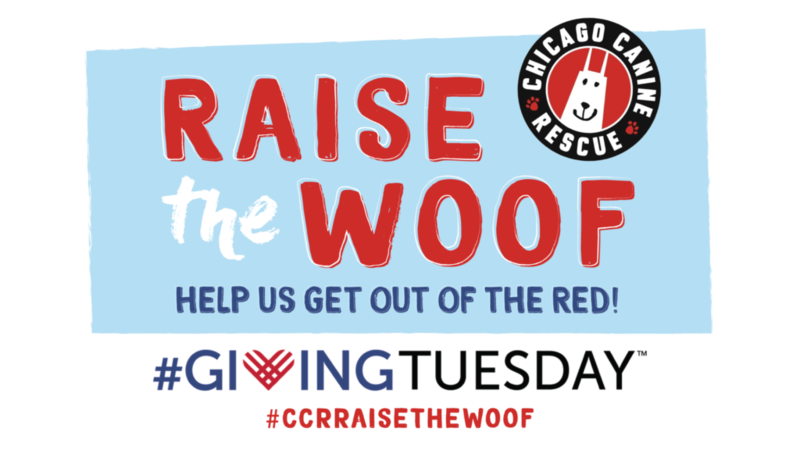 Donate today to make sure CCR can keep the “woof” over our heads. Want to make an even bigger impact? Create a Facebook fundraiser with the title “Raise the Woof for CCR” to encourage your friends and family to help us reach our goal. Contact Beckie at btomala@matrix1.com for details and to download a custom Facebook fundraising image! Previous Post Help Us Raise the Woof!